In his recent article published by the American Bankruptcy Institute Journal, Michael J. Connolly explores the obligations of a chapter 7 trustee which, at times, may seem to clash in the handling of discharging duties. Mr. Connolly considers the trustee’s quandary, noting different positions in the case law and expanding on suggested approaches. First, a trustee has “fiduciary duties” to the parties in a case. Second, a trustee has an “institutional obligation” to protect the integrity of the bankruptcy process. 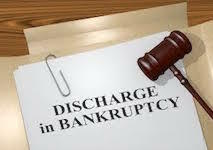 As a guardian of the bankruptcy process, a trustee, among other things, “shall, if advisable, oppose the discharge of the debtor.” Therefore, at times, these two duties seem to clash. For example, is it appropriate for a trustee to threaten a debtor with a denial-of-discharge action simply to extract payments to increase the size of the estate? Read the original article on the American Bankruptcy Institute website (requires sign in) or download the article as a PDF.